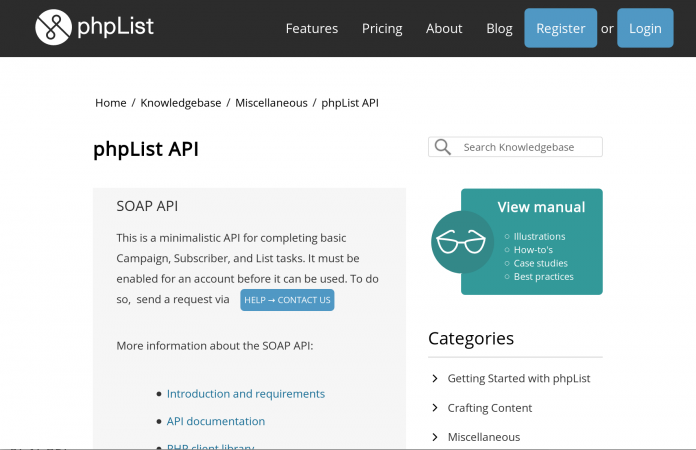 Last week the phpList.com Knowledgebase was launched for users of the phpList Hosted service. It includes articles specific to those users about account management and sending policies, as well as guides for engaging, reviving, and delighting subscribers that are relevant to all email marketers. 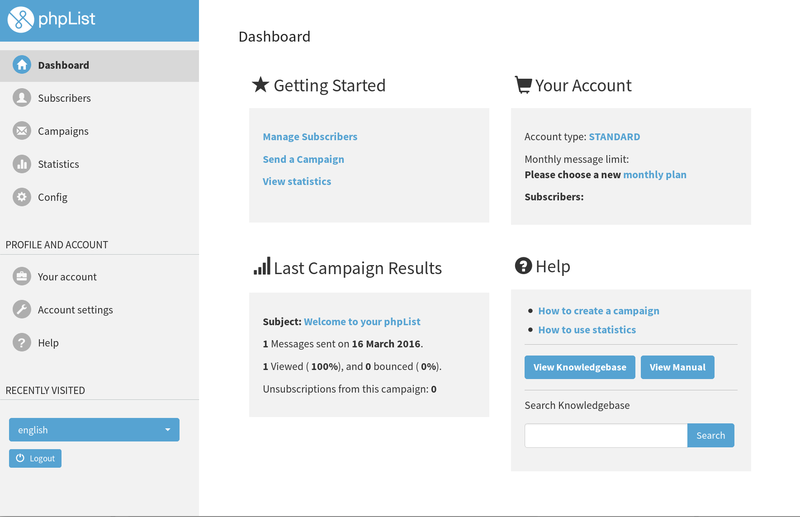 The platform we used to build the site was wp-knowledgebase; an Open Source WordPress plugin developed by Enigma Digital. A range of Knowledgebase apps now compete for market share, many of them extending larger help-desk systems such as Zen Desk (proprietary) and Helpy (Open Source). wp-knowledgebase is one of the simpler solutions available, with the added benefit of taking seconds to install and configure with an existing copy of WordPress. Here’s a checklist of the improvements we made to the stock installation for a better reader experience. The phpList Manual is a comprehensive reference point written over time with the help of our community. To avoid duplication we integrated the manual rather than copying its content. A custom animated widget in the sidebar draws readers to it. Some visitors will head straight to searching, and when no results from the Knowledgebase are found, they’re encouraged to try searching the Manual instead. In the default WordPress theme and many custom themes, article metadata is displayed along side the article title when matches are found in search results. This means that Knowledgebase article authors and publication dates will be shown when users search for help. While this metadata is interesting for regular WordPress articles, it’s not relevant for Knowledgebase content, and could confuse readers into thinking the content is out of date, or that they should reach out to particular authors for assistance. We hid the metadata by copying kbe_search.php into our own theme and editing it there, removing the lines which printed the unwanted info. 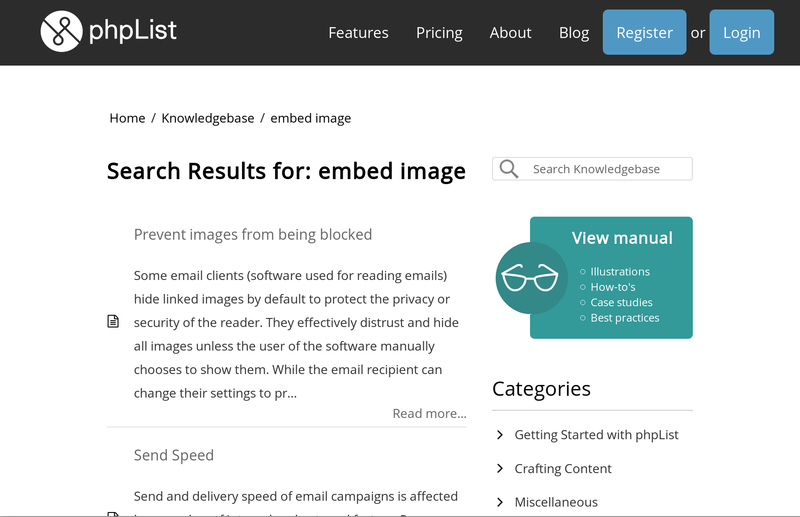 As well as adding a custom search icon to the article search field in the page sidebar, we changed the placeholder text to make it clearer that this would only search Knowledgebase articles and not the whole WordPress site. Finally, to make Knowledgebase access as handy as possible, we added a custom search field to the dashboard of the new phpList Hosted interface (forked from the Trevelin theme released in February), making it possible to search for articles from within phpList Hosted itself. This is as simple as inserting an HTML form which submits to the Knowledgebase query page. Next on our to-do list: drop-down suggestions from within phpList as well. Frequently Knowledgebase articles need to instruct readers to follow set steps to achieve a goal. In phpList this is most commonly a series of menu and button clicks to lead to a change or to a page with the desired information. To make these steps stand-out and immediately recognisable, we used custom styling with the help of the Visual Editor Custom Buttons plugin for WordPress. We defined a bold blue-background look for action paths and made it easy for article editors to apply the style by assigning it to a new dedicated button in WordPress’ visual editor. Now with a highlight and a click, our Support Team can standardise the appearance of the most crucial information on the page.